Mike Hunter 2016 Zanfirico blue, green and white duck sculpture. 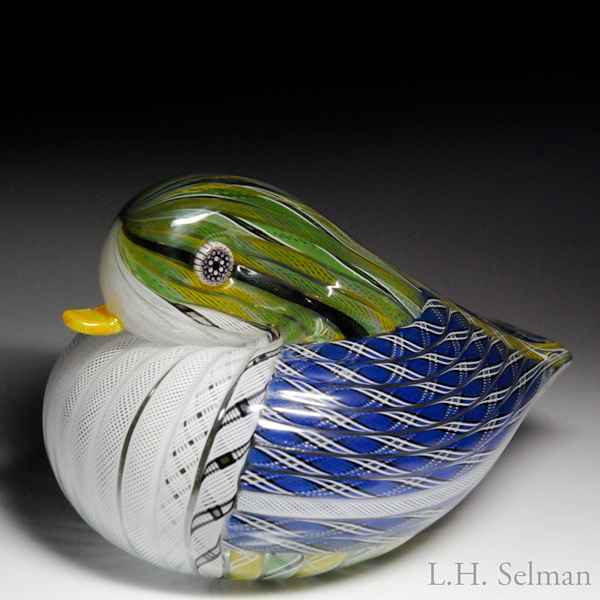 Blue, black, green, yellow and white latticinio tubes alternate to form a hollow duck, its head with two millefiori eyes and yellow latticinio beak. Signed/dated. Height 3 7/8", length 5 5/8".